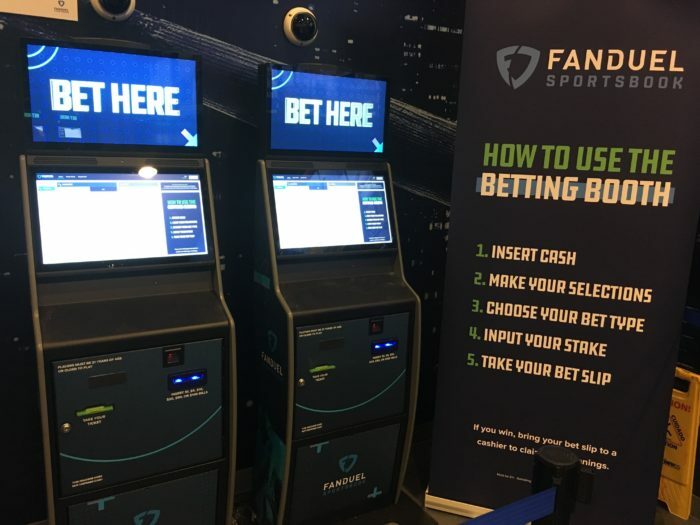 Ten months on from the merger of FanDuel with Paddy Power Betfair’s US business and the combined group has been storming ahead with its sports betting product. Playing on FanDuel’s strengths in the US with a strong brand and large existing customer base, Paddy Power Betfair US has been keen to use this expertise to help cross-sell its products across the entire combined group. FanDuel has over 40% of the market share of the US DFS sector, with seven million registered customers across 40 states, placing it at a huge advantage to capitalize on the opportunities arising as more states open up to online. Having come from the PPB side as CEO of Betfair US, Kip Levin is well aware of the advantages of having staff with experience in online gaming, sports betting and DFS coming together as part of the merger. President and COO Levin talks to EGR North America about the firm’s success in New Jersey, the opportunities for cross-sell and the importance of DFS within the business. EGR North America (EGR NA): You’re already first in New Jersey by total sports betting and second in online, did having people that know the industry help you get to market quickly? Kip Levin (KL): Yes, 100%. Obviously, there are lots of factors that went into the thesis of why we put the businesses together and the talent and people who understand how to do it was a big part. There’s our experience in New Jersey with running the online casino business and we have a very strong market share compared to the big brands you think should be dominating the market there. We already have a lot of experience in how you go in to market efficiently to acquire customers. EGR NA: What kind of impact have you seen on the Betfair Casino since sports betting started? I know there is a single wallet, presumably it is taking market share now? KL: It is absolutely taking market share. On an individual brand level, we were already in the top three to five on any given month in terms of market share by brand. We have dramatically ramped that up. I don’t know the specifics of where we sit in the market now. There’s a much bigger audience that’s interested in sports betting and you just need a small proportion of that audience to be interested in going over to play blackjack to see an increase in that business. EGR NA: There was talk a while back about the Betfair Casino name being shelved in favor of FanDuel Casino, is that still the plan? KL: We’re evaluating everything. We’re very encouraged by cross-sell. It’s working very well without the brand change. If you think about how we built Betfair Casino up that’s been through a number of ways. We wouldn’t necessarily market the FanDuel Casino side. We’re still keeping options open in terms of what’s the best way to evolve our casino and igaming strategy. We’re encouraged by cross-sell. I would expect it in other markets where we launched online sports and there’s an option to launch online casino. If it’s a new market, it’s more likely we would join directly with the FanDuel Casino brand. We wouldn’t want to do anything that would potentially hurt the business that we have been building up for the last five years. EGR NA: You seem to share a lot of staff between Sportsbet in Australia and going from London and Dublin to the US? KL: That’s a bit of an advantage that we have over our competitors. There’s not a huge talent pool in the US in terms of people that have experience in online gaming and/or sports betting. I learned that quickly when I came in to run the Betfair US business five years ago and fixed it by bringing people over. Then when the Paddy Power Betfair merger happened, I sped up the amount of people I was bringing over because there was a lot of talented people that were displaced as the businesses were merging. I very much took advantage of that. Now we have a good base of people that really understand the business on the ground here when things opened up. EGR NA: How important is DFS still considered to be internally within the business? KL: DFS and the TVG businesses are still two big businesses by revenue and my expectation is that it will be that way for a while. We’re seeing very healthy year-on-year growth in the DFS business. We’re seeing just as strong year-on-year growth in New Jersey as we are seeing in the rest of the country. We’re excited about it. We agreed to the deal before the ruling on PASPA came out so we were encouraged by putting the legacy businesses together and some of the synergies we could get from that. We just had a big horse race, for example, in Florida with the Pegasus World Cup. Our biggest marketing channel in terms of new customers acquired for that race was cross-selling to our DFS customers across the country. The DFS business is growing by itself but we also see that’s going to drive our racing businesses. TVG is in 33 states and DFS is in over 40. So, we’re really excited about the other businesses we have in while we wait for the state-by-state legislative and regulatory process to unfold, which could be years. It’s hard to predict. EGR NA: Do you think the lure of sports betting has helped DFS grow rather than shut it down? KL: We’re increasing our marketing spend year-on-year. 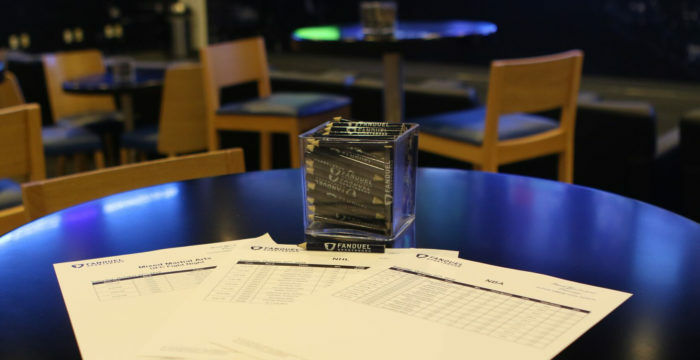 We’re spending more on the FanDuel brand in and around the New Jersey market so Philadelphia, New Jersey and New York. We spend in Philadelphia and New York because people will travel in to New Jersey to do sports betting. The marketing we are doing there is having a halo effect on the DFS business in that market. EGR NA: What’s the plan with Draft as I understand there was some talk of shutting it down? KL: Our plan for now is to keep it going as an alternative game format in daily fantasy. There’s a core group of customers that really enjoy it. There are different types of contests you can do around NFL that run year-long so it helps stretch out our ability to acquire customers in the NFL. If you draw an analogy in DFS to casino gaming, it’s a different game type. As we know from igaming and the casino business, the more games you have, ultimately the more customers you will attract because you will have something for everybody. We’re big believers in the format and it absolutely serves a purpose. We have a team now dedicated in our DFS group, people that came from the Draft business that are in charge of running that and we continue to look to grow that business. EGR NA: Do you think you can replicate your New Jersey sports betting success in other states that come online? KL: We like our strategy. We have experience in other states through DFS and TVG. We’re seeing cross-sell from TVG customers as well who are high value customers used to betting on racing but who are now betting on sports as well, who we knew historically bet on sports. So, we have experience in a lot of different jurisdictions. The differentiators go beyond having a database. The database is valuable but it’s about knowing how to market across mediums and understanding how to do pricing right. We think about pricing very differently in a new market than we would in a mature state. We know how to do promotions right. We’re bringing over our promotional playbook from Europe and Australia which people are starting to copy a bit. It feels like we are always looking a few steps ahead of the market which is helpful. We will not get complacent and we expect competition to get harder and harder. We have a lot of great assets that we feel positions us very well for expansion into new states. EGR NA: Do you see any of the 10+ operators in New Jersey doing things well? KL: We are seeing ramped up promotional aggression from competitors. People bring different assets. We are very conscious of the fact there are already 10+ operators and that number seems to be growing. As we know from our experience in Europe, as more competition comes in it’s going to get harder. We feel confident that we have a healthy balance sheet to spend to make sure we are doing what we need to do to maintain a top position in the market. EGR NA: I saw New Jersey operators had received a letter saying they couldn’t work with OddsShark, have you been warned off many affiliates by the DGE? KL: We very much applaud the DGE for the strong decisions they are taking on affiliates that have any association with the illegal market. That’s probably still the biggest challenge that we all have as legal operators. They’re not paying taxes, they’re not paying a market access partner, they’re not having to invest in all the regulatory compliance infrastructure that we have to invest in. Given the size of the market and talking to the customers, they’re all coming from these illegal sites and that’s a hard business to compete with for all of us. Especially in a world where they don’t have all of these additional costs. They can be aggressive on price beyond what we can be because they have different margins. We applaud the DGE’s efforts to really clamp down and make sure they are doing everything they can to steer customers to the legal and regulated sites. 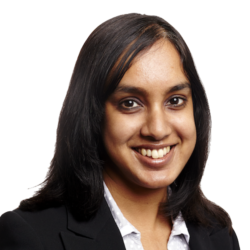 EGR NA: Have you been surprised by the US reaction to the vig being charged and limits being imposed on some customers? Have you had to adapt to that? KL: We haven’t seen a lot of that towards us. We focus on ourselves and giving our customers a great experience. One of the ways we are doing this is by keeping our vig low and keeping our prices competitive, especially in a world where we are competing with the illegal markets. I can’t comment on the reaction our competitors are getting but that has been something we have been focused on, which is being very competitive on price. I think it’s definitely shown in our results. EGR NA: What are your plans for New York? KL: That is obviously going to be a massive market. We have access through our partnership with Tioga Downs, which is one of four licensed casinos. We’re keeping an eye on whether mobile gets approved and our position because of the Meadowlands business. 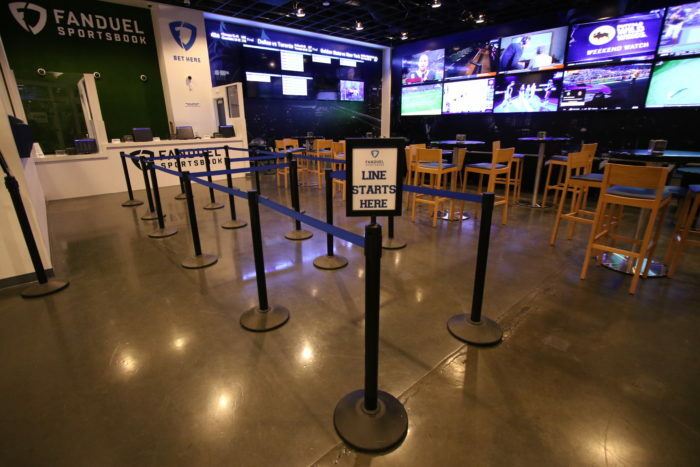 If mobile doesn’t get approved then Meadowlands will continue to be the closest sports betting option for residents in New York City for the near future. It will be a lost opportunity in terms of tax dollars for the state of New York. Part of the strategy of getting the Meadowlands business was the proximity to the city and the population and that business continues to far exceed our expectations.